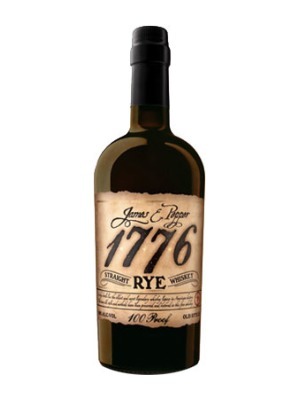 James E Pepper 1776 Rye Whisky is a popular Whisky available from DrinkSupermarket.com in 70cl to buy online. Visit DrinkSupermarket.com for the best price for 70cl of James E Pepper 1776 Rye Whisky or compare prices on our other Whisky products. Vibrant and full bodied; notes of spice, chocolate, cloves & honey. A great sipper neat or on the rocks, and also makes a mean Manhattan. 100 Proof - Not Chill-Filtered - Over 90% Rye in the Mash Bill. Where to buy James E Pepper 1776 Rye Whisky ? James E Pepper 1776 Rye Whisky Supermarkets & Stockists. You can buy James E Pepper 1776 Rye Whisky online in most retailers and find it in the Whisky aisle in supermarkets but we found the best deals online for James E Pepper 1776 Rye Whisky in DrinkSupermarket.com, TheDrinkShop, and others. Compare the current price of James E Pepper 1776 Rye Whisky in 70cl size in the table of offers below. Simply click on the button to order James E Pepper 1776 Rye Whisky online now.